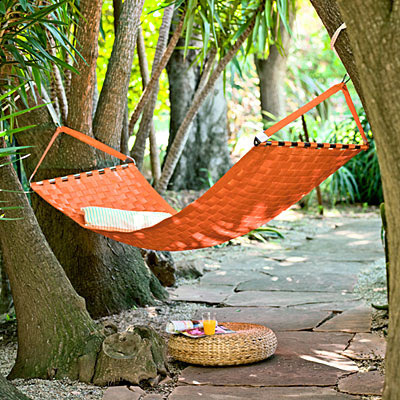 If you are an outdoor person, somebody who loves to do relaxation activities outdoors, then you may want to consider the following outdoor nap spots ideas. 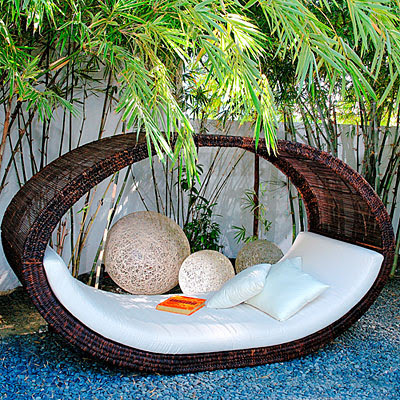 This is simply creating a relaxing nook "in style". 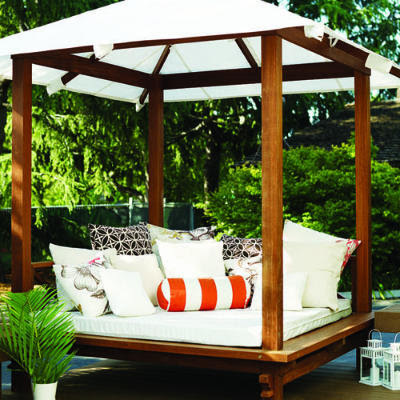 Adding some colors and some interesting outdoor furniture pieces will definitely result into an instant nap spot make over! Hmm...my personal favorite is photo no. 3 Traveler's Escape. I just find it sooo cute!! :) But If I would adapt the design, I would choose to fill the ground with white pebbles to complement the overall look and design. 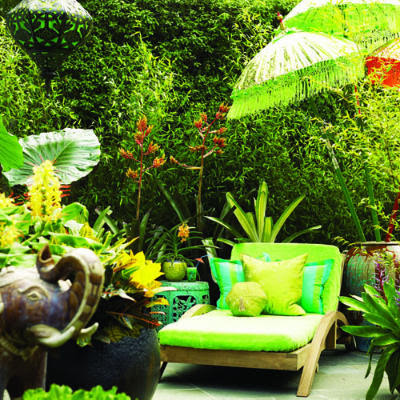 Perhaps, adding some potted green plants would also create a color contrast.